As the Medical Marijuana Commission inches closer to establishing a viable program in Maryland, there are still numerous key details that need to be hammered out. The Commission was established soon after the governor signed the revised medical marijuana bill into law, and its fifteen members were tasked with drafting regulations for the program. These regulations were supposed to be handed over to the health secretary and a group of state lawmakers this week, but now it appears the commission will seek public comment before submitting the program regulations for formal review. The commission made the draft regulations available to the public by posting them on the DHMH website, and they have already received abundant feedback. The four page PDF, which can be found here, outlines the application process for obtaining a growers license in Maryland, and the criteria for which applications will be judged. Those reading the draft application for the first time may be surprised just how demanding the process will be, and the commission can afford to be selective considering there will be only fifteen licenses awarded in the next two years. All applicants for a CBD grower’s license in Maryland must provide a full business plan within their application, which includes essential information such as the organizational chart for the business, articles of incorporation, and descriptions of all investors involved. The applicant must also explain his or her prior experience with marijuana cultivation, as wells as plans for security, quality control, and inventory tracking. Finally the application must include a detailed description of the real estate that will be used as the grow house, complete with proof of ownership or control of the property. 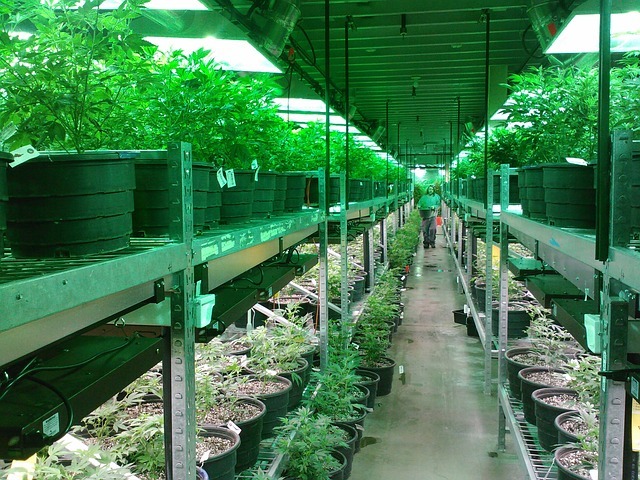 As the regulations are still in the draft stage, there is no final word on whether there be specific location requirements for the grow houses. Some states require they be a certain distance away from places such as schools and churches, and this regulation would obviously play a huge role in determining when and where investors can secure real estate. And speaking of real estate, there will be uncertainty with how the federal government chooses to handle state marijuana programs as long at it is a controlled substance under federal law, thus making long term grow house leases risky and therefore expensive. Federally insured banks may continue to shy away from providing mortgages for grow house real estate, and giving lines of credit to growers because while unlikely, a new administration could come in and reverse the current climate that President Obama and Attorney General Holder have established. The Blog will continue to follow the progress of the Medical Marijuana Commission as they tackle the ever-present issues that have caused medical and recreational marijuana to be so much more complicated than necessary. There is still so much left up in the air for grow licenses that the regulations for dispensaries are not even close to being tackled. At this point all we know is to expect about 100 dispensary licenses statewide. We will surely post a follow up article in the near future on both grow and dispensary licenses so stay tuned. Benjamin Herbst is a Maryland marijuana attorney who specializes in all drug violations including possession with intent and manufacturing. Contact Benjamin at anytime for a free case consultation.